Oxygen Forensics releases an update to its flagship forensic software. The updated version of Oxygen Forensic® Detective supports physical dumps creation from Android OS devices based on Spreadtrum chipset (even password-locked). We’ve also added Swarm (Foursquare) data extraction from Cloud. 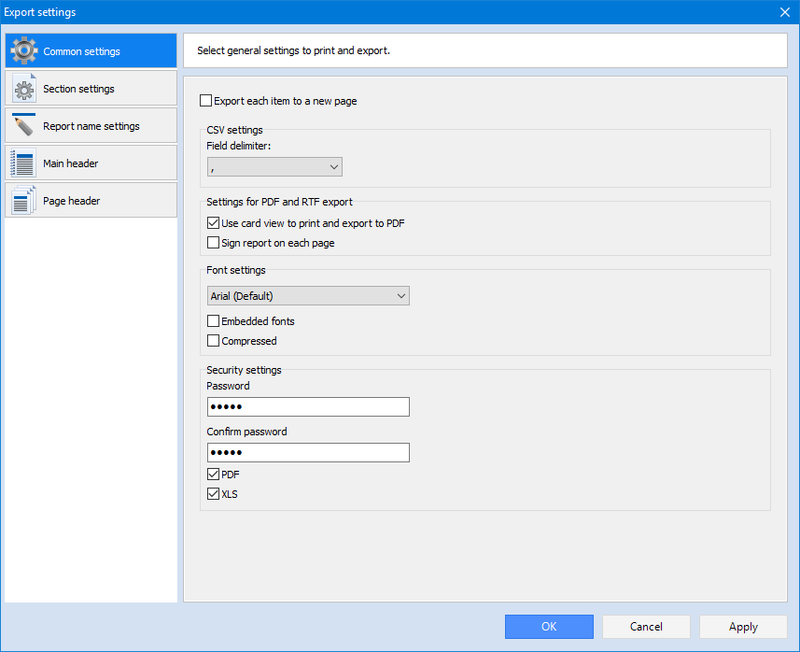 In the new version you can protect your PDF and XLS reports with password. The updated version acquires data from popular Windows Phone apps (Instagram, LinkedIn, Twitter, Tumblr) and in general supports 1,700+ apps versions. Oxygen Forensics Oxygen Forensic® Extractor. Added preliminary support for physical dumps creation from Android OS devices based on Spreadtrum chipset. It allows to bypass screen lock password and extract all the data including apps and deleted records. Oxygen Forensic® Cloud Extractor. Added the ability to extract data from Swarm (Foursquare) cloud accounts. Forensic experts can use either credentials or token to acquire account details, contact list, check-ins history, private and group messages. Oxygen Forensic® Cloud Extractor. Added the ability to extract Facebook data using account credentials (login/password). Previously, Cloud extraction with token was only available. Oxygen Forensic® Maps. Added markers that will now display the number of geo points on the map. Oxygen Forensic® Maps. Display of summary information on geo locations is added into the hint. Oxygen Forensic® Maps. Added Europe and Asia downloads to available offline maps. Oxygen Forensic® Call Data Expert. Added the ability to open geo coordinates contained in CDR files in Oxygen Forensic® Maps. Phonebook. Added the ability to export data received via Data Scout service from Contact Card. Phonebook. Now experts can generate report that includes only contacts with Data Scout information. Contacts without Data Scout information won’t appear in the report. General. 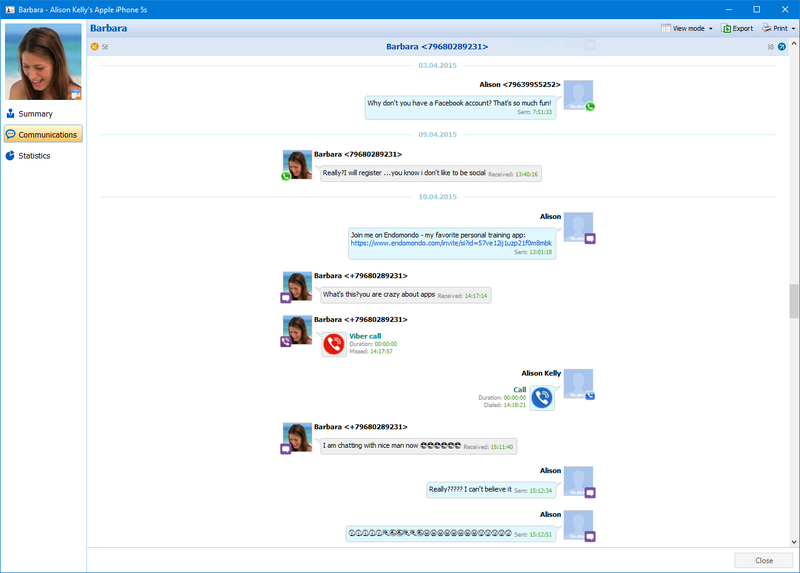 Added the ability to read all user’s communications in the convenient Chats view in the contact card. Web Connections and Location Services. Added the new tab that displays the information about Wi-Fi connections from Android OS devices: SSID, password and security type. File Browser. Added extraction of EXIF data (geo coordinates and dates) from video files of iOS devices. Export. Added the ability to set a password to PDF and XLS data reports. The option is located in Export settings. Export. 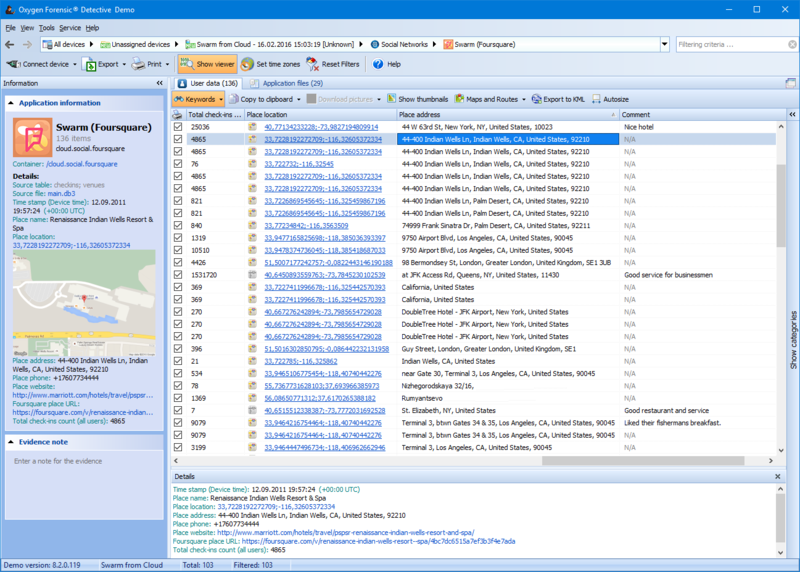 Added the ability to export only items marked as Key Evidence in the program sections. Export. Redesigned table view HTML report. Applications. Social Networks. Added live data parsing from Instagram Beta (0.4.3) from Windows Phone devices. Applications. Social Networks. Added live data parsing from LinkedIn (1.6.0) from Windows Phone devices. Applications. Social Networks. Added live data parsing from Tumblr (1.0.1.9) from Windows Phone devices. Applications. Social Networks. Added live data parsing from Twitter (3.2.3.0) from Windows Phone devices. Applications. Messengers. Added live data parsing from IM+ (8.7.2) from iOS devices. Applications. Navigation. Added live and deleted data parsing from Baidu Maps (8.7.6) from Android devices. Applications. Added Baidu Maps Viewer that supports Baidu coordinate system BD-09. Applications. Messengers. Updated live and deleted data parsing from Hangouts (6.1.1) from Android devices. Applications. Messengers. Updated live and deleted data parsing from Kik Messenger (9.2.1) from iOS devices. Applications. Messengers. Updated live and deleted data parsing from Viber (5.7.1) from iOS devices. Applications. Messengers. Updated live and deleted data parsing from Kakao Talk (5.3.1) from iOS devices. Applications. Social Networks. Updated live data parsing from Twitter (6.44) from iOS devices. Applications. Social Networks. Updated live data parsing from Facebook (46.0) from iOS devices. Applications. Social Networks. Updated live and deleted data parsing from Pinterest (5.9) from iOS devices and Pinterest (5.9) from Android devices. Applications. Social Networks. 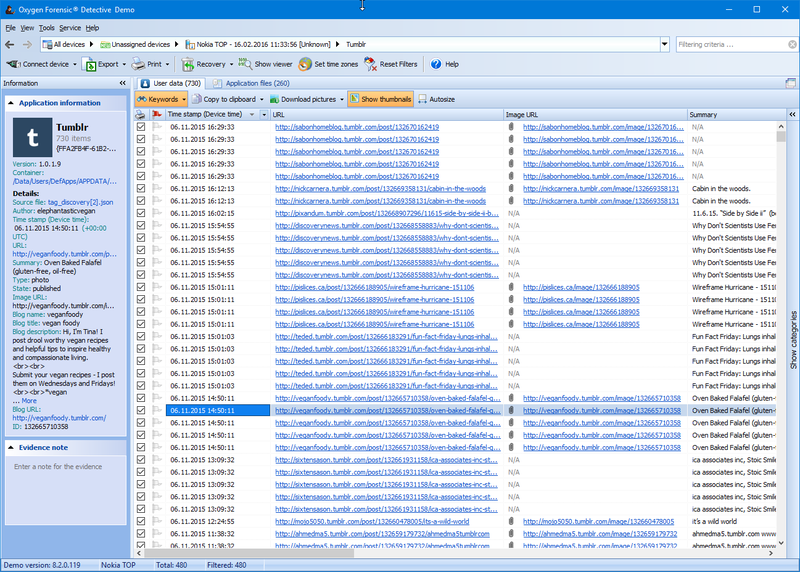 Updated live and deleted data parsing from Tumblr (5.4.1) from Android devices. Applications. Business. Updated live data parsing from GMail (4.4.0) from iOS devices. Applications. Messengers. Updated live and deleted data parsing from Line (5.9.5) from iOS devices. Applications. Navigation. Updated live data parsing from Google Maps (4.15.0) from iOS devices. Added support for 40+ new Android OS devices: Lenovo Vibe P1m (P1ma40), Lenovo Tab 2 3G (A7-30), Sony Mobile Xperia SP (C5303), Sony Mobile DoCoMo Xperia Z3 (SO-01G), etc.